The latest work from her team at MIT is a perfect example. 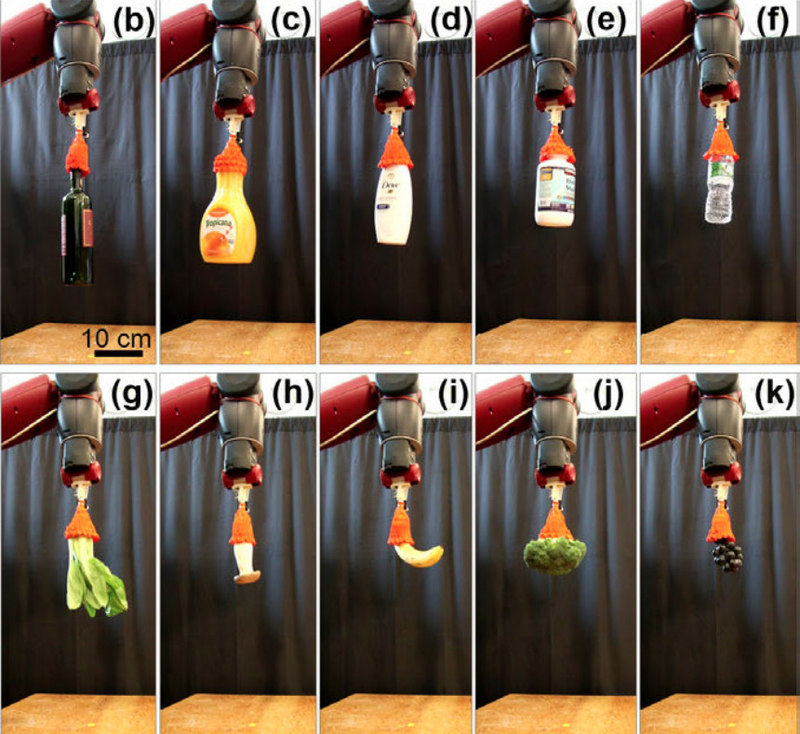 It’s a robot gripper that’s designed to pick up objects, but its looks are unconventional, to say the least. Visually, it has more in common with a rubber tulip or a deflated balloon than a sci-fi robot hand. It’s this unique look that makes the gripper so potentially useful. Underneath its rubber skin is an origami skeleton that’s shaped like starfish. As gas is pumped in and out of the gripper’s airtight enclosure, the whole device opens and closes like a flower. Soft robot grippers like this aren’t new. Over the past decade, the field has experienced a boom, with engineers looking to take advantage of soft machines. One natural use case is logistics: picking items in warehouses and factories. Although much of this work has been automated, humans are still widely employed by companies like Amazon to handle individual items, packing them into bags and boxes. This is because traditional robot grippers made of metal and hard plastics struggle with delicate items and irregular shapes. The old cliché of an out-of-control killer robot chanting “crush, destroy” isn’t too far off here. Your average robot in a factory today couldn’t unpack your shopping without turnings eggs into omelets and oranges into orange juice. The gripper was tested on a wide of objects, including fruit, vegetables, bottles, and cans. Soft robot grippers look like the best solution to this problem, and the past few years have seen an explosion of such technology. Labs like CSAIL as well as commercial companies like RightHand Robotics have all gotten in on the action, developing everything from inflatable robot hands to beanbag-like grippers to modules shaped like octopus tentacles. Rus says her new gripper is a better solution than any previous design. Its tulip shape means it can approach objects from a verity of angles, as opposed to a gripper that’s shaped like hands, which usually have to come at an object from the side. Because of its origami skeleton, which Rus and her team debuted back in 2017, it has strength as well as flexibility. As to why such devices haven’t been adopted yet, Rus says that’s because commercial solutions haven’t yet caught up to “innovations coming out the lab.” Another reason might be institutional inertia. Once companies have invested in expensive equipment, replacing it isn’t an easy decision, especially if updating your hardware might mean rearranging your entire production line. There’s no doubt that the field of soft robotics continues to spit out bizarre and potentially useful creations. And if Rus and her colleagues get their way, it won’t be long until our mental picture of what a robot looks like changes for good. “This is a first, to our knowledge, in creating a robot hand that can do such useful work,” says Rus.